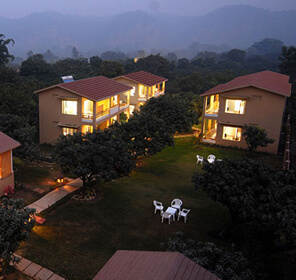 Having to spend a quality time amidst the wild and beautiful hill station is truly an overwhelming experience. 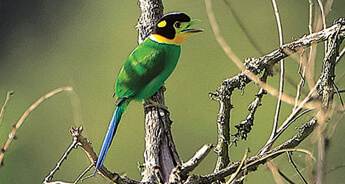 You not only get to be alone with beautiful sunsets, winning attractions, calming summer fireflies and echoing sounds of the wild from a distance but also can spend time rejuvenating in the wildlife resorts or cottages in the hills doing nothing but lazing around. 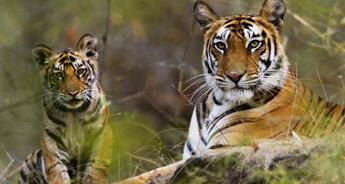 And in our Corbett Special Tour of 4N/5D, you will be guided to Corbett National Park where you can spend time with the wild animals such as Tigers, Leopards, Gharials and Crocodiles along with other mammals and birds. 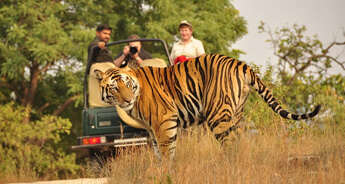 Our package will take you to sightsee Garjiya temple and River Kosi as well as a jeep safari in the Dhikala Zone of Corbett. 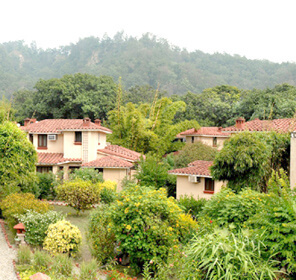 A short drive uphill to Nainital will give you a refreshing feel. 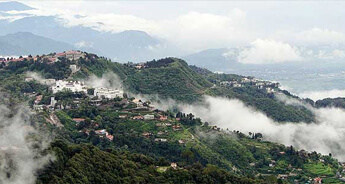 We will guide you a tour around this charming hill station in places such as Naina Devi temple and all the tals (lakes) around Nainital. 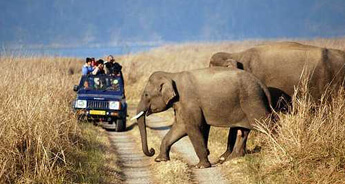 Early morning, you will be driven from Delhi to Corbett National Park. 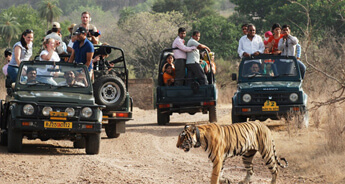 Upon arrival, you can check in at the selected wildlife resort and post lunch, a jeep safari tour into the Corbett for sightseeing will be arranged. 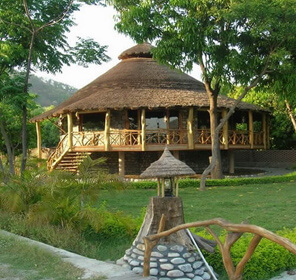 Later, you can return to the resort for dinner and overnight stay. 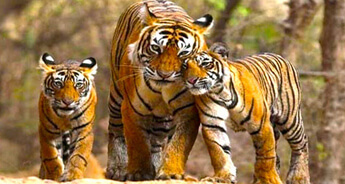 Corbett National Park - This national park is located in the foothills of the Himalayas and it is also the oldest wildlife sanctuary. 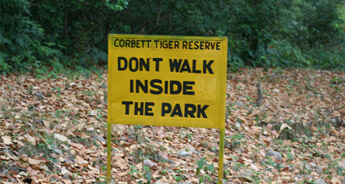 This park is named after the conservationist Jim Corbett who spent many of his years in this area. 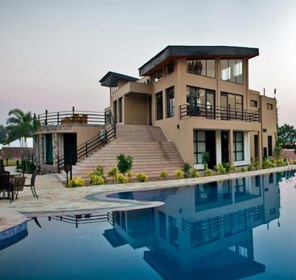 This is an excellent dwelling for adventure lovers and wildlife enthusiasts. 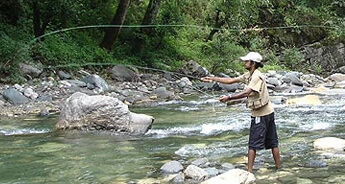 Here, river rafting and jeep safaris are the favorite activities of the tourists besides, this park is India's first national park to exist along the bank of Ramganga river. 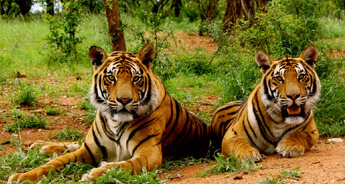 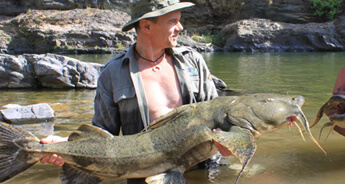 This sanctuary has over 50 mammals, 600 birds and 25 reptile species and of course it is a home to some big cats such as Tigers, Leopards, Gharials and the long-nosed crocodiles. 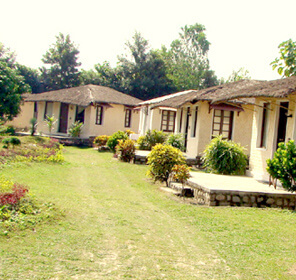 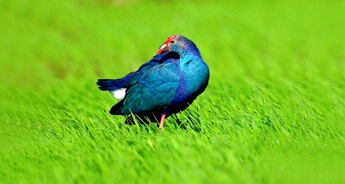 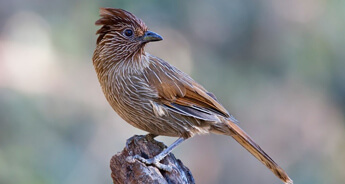 Get up early morning to go for a safari in the national park and on arrival breakfast will be served. 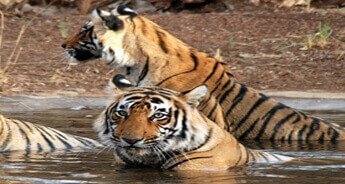 Later, you will be taken to visit the Garjiya temple along with the river Kosi and in the afternoon, a drive to Dhikala forest lodge. 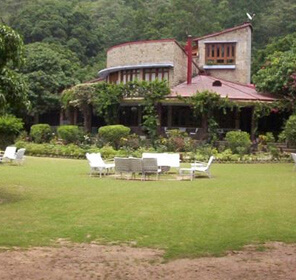 On arrival, lunch will be served in the resort followed by a drive to Dhangarhi Gate. 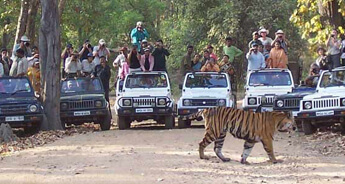 The Corbett Dhikala tour begins from here with a jeep safari to the grassland to view the wildlife especially the tiger. 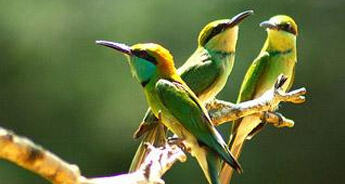 After the tour, you can sit on the verandah in the evening and enjoy the breathtaking sunset with sounds from the wild. 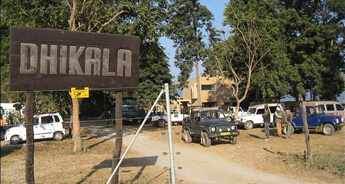 Overnight stay at Dhikala Forest Lodge. 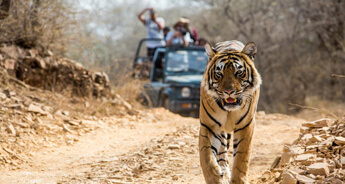 In early morning, you will be taken for a jeep safari through open grasslands and dense forests of Corbett National Park as well as to the lakeside to see crocodiles. 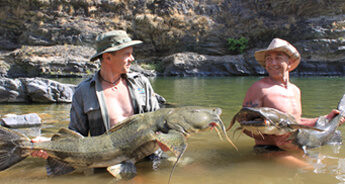 After lunch, you can either spend a day free to relax or go to the watchtower overlooking a water hole. 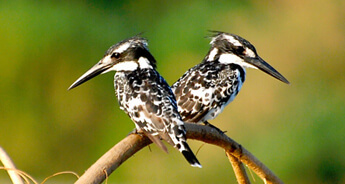 In the evening, gather to watch a film on wildlife followed by dinner and overnight stay at Dhikala Forest Lodge. 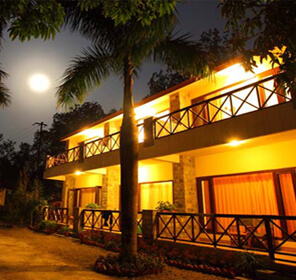 Early morning, you will be driven to Bhuvankhal at sunrise and later continue to Nainital. 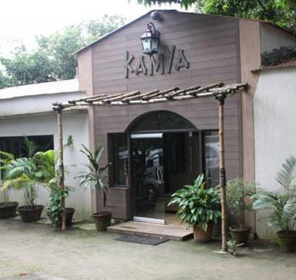 On arrival, you can check in at the selected hotel and rest for a while. 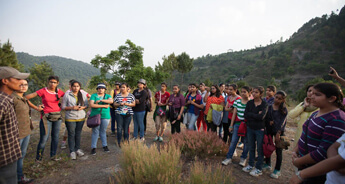 In the afternoon, a tour around the Naini lake along with a visit to Naukuchiatal, Bhimtal, Sat Tal, Khurpa Tal will be done. 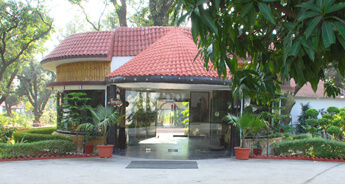 Later in the evening you can go enjoy a boat ride on Naini lake followed by an overnight stay at the hotel. 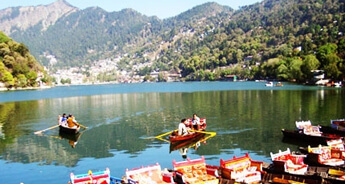 Nainital - A beautiful destination in Uttarakhand, Nainital is a scenic place with beautiful Naini lake and panoramic mountains. 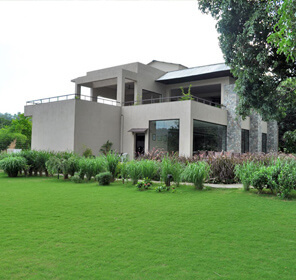 Besides, the hill resorts of Ranikhet, Almora, and Kausani offer luxe comfort to the tourist making them come again. 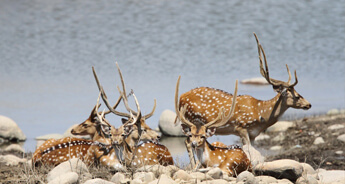 Nainital attractions Bhimtal, Sattal and Naukuchiatal also offers breathtaking sights for nature lovers and also there are recreational activities such as canoeing and yachting around this alluring place. 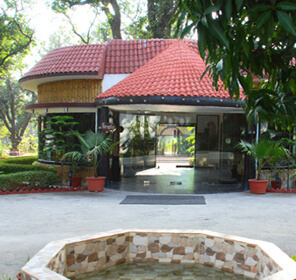 In the morning after breakfast, visit the Naina Devi temple and after drive back to Delhi. 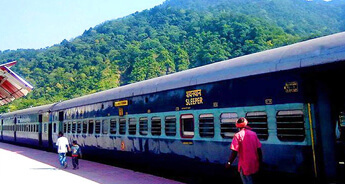 On arrival at Delhi, you can transfer to the airport or railway station for your onward destination.